We value our relationship with you and recognise your role as the prime educators of your child. We know that by working in partnership with you we can maximise your child’s learning and opportunities. We invite you to an introductory meeting before your child begins nursery, at which you can meet all members of staff and hear how we organise the children’s learning. At the beginning of the term of admission we arrange to make a preliminary home visit where we can meet you and your child in a familiar setting. We find that this establishes a very effective relationship and makes the child’s transition into nursery very smooth. At your home visit your child will be given a special 'All about me' book. Inside we will provide templates for you to share your child's interests and favourite things with us. Throughout the year we will continue to add pages, sharing what your child is learning at Nursery. We would like you to feel that we have time for you and that you can discuss anything with us that may be giving you cause for concern. If anything arises we will try to sort things out with you as soon as possible, usually immediately. Once your child has completed half a term with us, we invite you in to review how well she/he has settled, and show you a short video clip of them in the nursery setting. In January we welcome parents who wish to stay and help for a session. 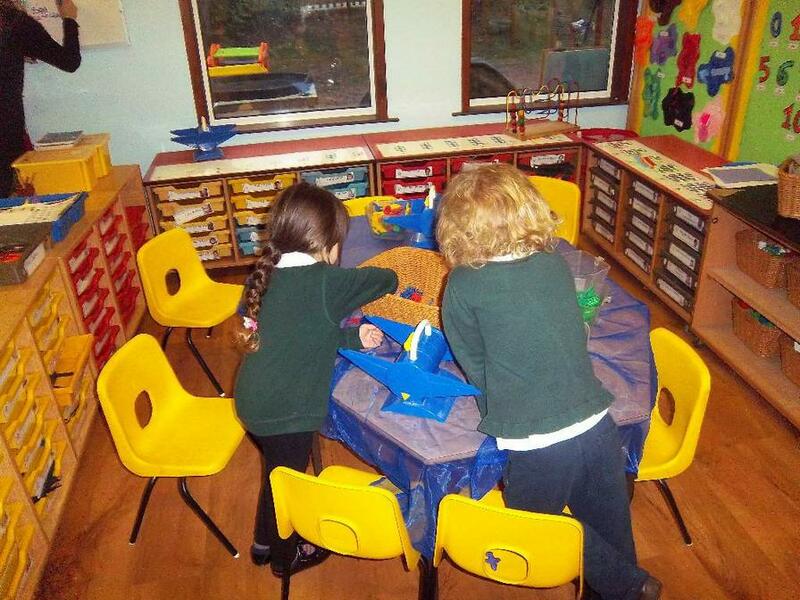 Children love to have visitors and show you what we do in Nursery. Towards the end of the final term, you are invited back for a final meeting at which we review progress and set targets for starting Reception.